Angela Merkel was the first phone call Emmanuel Macron made after the election. My point about the election for Macron would be the worst possible outcome for the Euro was not just reflected in yesterday’s outside reversal to the downside. Merkel has already made it clear that she will not relax Eurozone spending rules to help Macron. The defeat of Le Pen has sealed the fate of Europe because there will be no reflection upon how to reform the EU to save Europe. The same policies that have prevailed to create this economic disaster remain in full motion. Only a sublime idiot would now think everything in Europe will be just great. We are looking at a major hard landing for Europe. Keep in mind that local governments even in the USA are doomed for all they can do is raise taxes further crushing their population and destroying their own economy. This is the same outcome faced in Europe. The insolvency of municipal governments in Germany is about 50%. 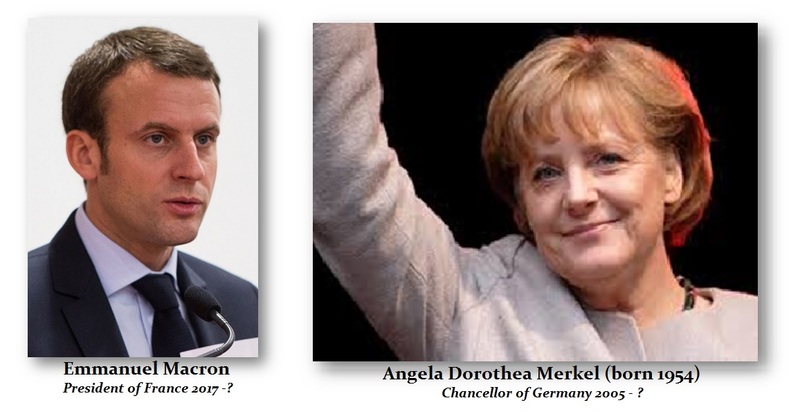 Nonetheless, there is a lifetime in politics between the May victory for the establishment in France with Macron who cannot possibly help calm France and the election of Merkel in the fall. The biggest disappointment of Obama was being the first Black President, hopes were so high for a real change. When everyone saw he did the same thing as Bush, this set the stage for the Trump victory. Republican or Democrat offered nothing new but the same all nonsense. This is now the curse upon France. Hollande and crew did not support Macron because he would change policies. Our computer was correct in forecasting the mainstream political parties in France would be defeated. That took place. Now the expectations are so high for Macron to change things, when the French people realize he is the same as what they had under Hollande, the backlash can still come before the German elections. The civil unrest in France is unbelievable. The tension there you can cut in the air with a knife. Macron will fail and with him, the dream of Brussels. « The French Elections – What Now?